Training dogs is my passion. I truly love helping people obtain their goals with their dogs whether they are competition related or companion. I thrive watching people develop special bonds and relationships working with their dogs. Watching dogs and their owners grow and become confident, happy, and successful, is what it is all about to me. 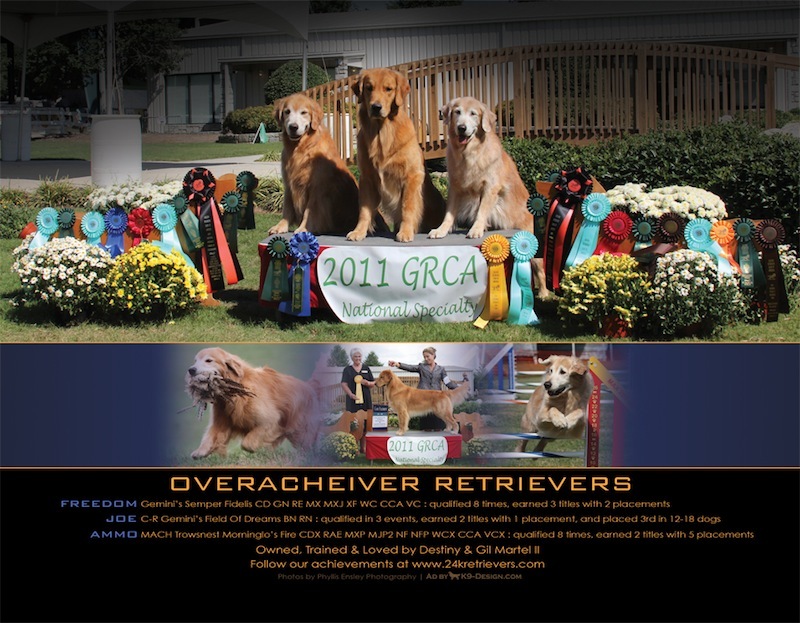 Since 2000, I have been training and competing with my own dogs in the American Kennel Club and the United Kennel Club. We have had great success in various competitive contexts such as Obedience, Rally, Agility Trials, Barn Hunt competition as well as Hunt Tests. All five of my current competition dogs have earned High in Trials. I was a member of the Tallahassee Dog Obedience Club from 2000 to 2009 and served on the Board of Directors for several years. I was also a member of the TDOC Training Committee from 2001 until August 2009, which has afforded me the opportunity to assist and instruct in many obedience classes with many different breeds. I look forward to sharing my skills and experience with you and your dog. Ammo, Freedom and Joe with some of their awards.